Adam has recently been requesting lullabies to help him fall asleep, and one of the songs I sing to him is my favourite song from Aladdin. 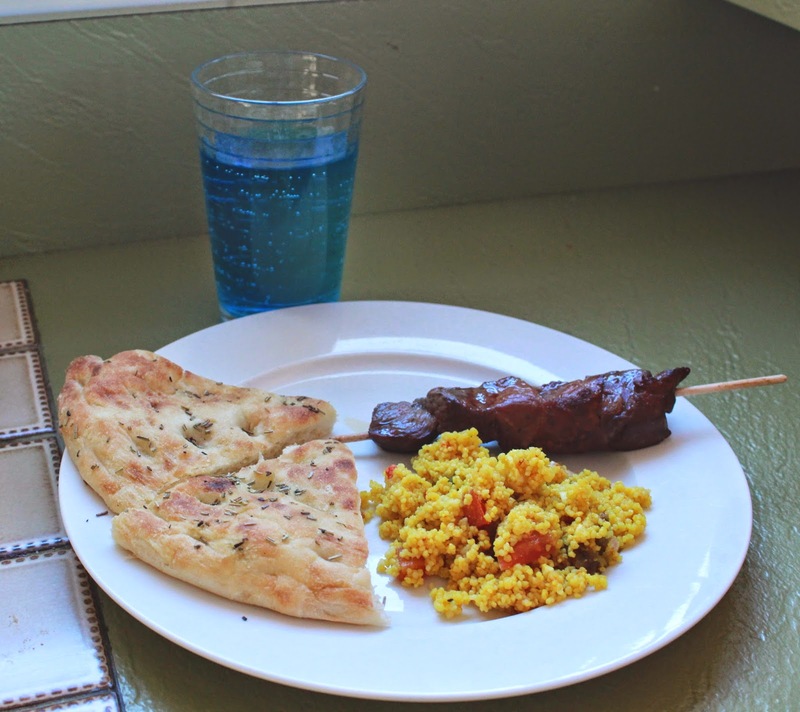 This got me thinking about a family fun night based on the Aladdin movie! 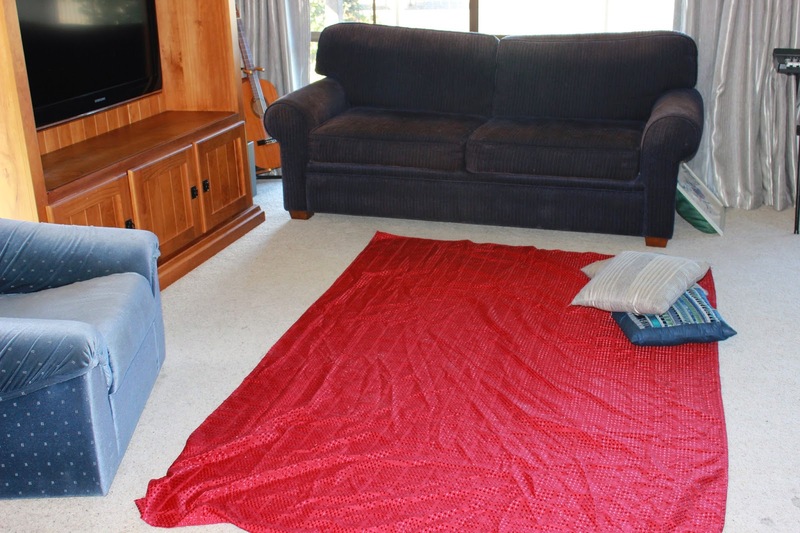 Firstly, I put down a tablecloth on the floor for us to sit on as a magic carpet. Pretty basic, but the boys think sitting on the floor to eat is awesome! We all sat down to have our dinner and watch the movie. We had Blue Genie Juice, which was Blueberry flavoured fizzy. A rare treat in our house, but this was rather tasty! We also had Turkish flatbread, moroccan couscous with eggplant and tomato, and some tandoori yoghurt beef kebabs from our local butcher. 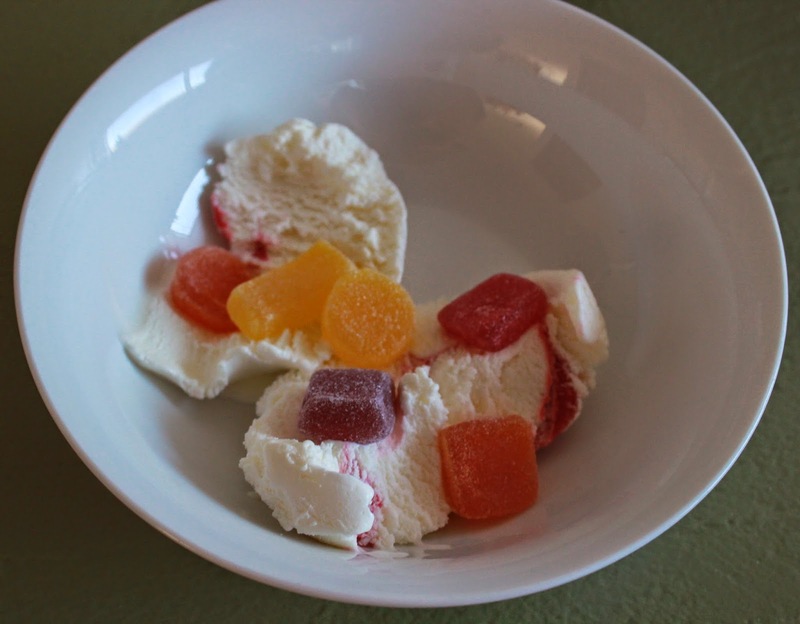 Dessert was Cave of Wonders- strawberry ripple icecream with jubes to represent the jewels. This was simple to throw together at short notice, and such a fun way to spend a Friday night together. The boys loved watching the genie, and I enjoyed reminiscing about the songs as I used to sing them in choir. If you have any suggestions of movies that we should watch as a family, I would love to hear them as we love our movie nights! 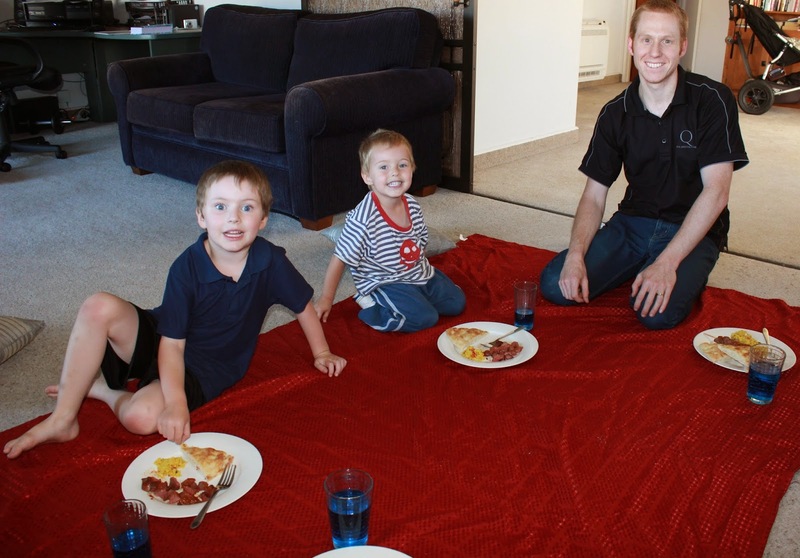 You are such a cool mom, love this themed meal! That drink looks so refreshing!